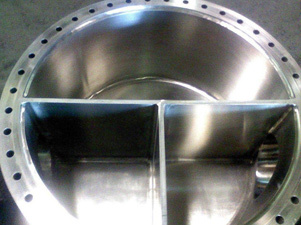 Polished Hastelloy Head Assemblies for the Energy – Industrial Fans Industry. At P & C Metal Polishing, Inc., we are capable of providing very fine surface finishes on a range of complex parts and different materials. 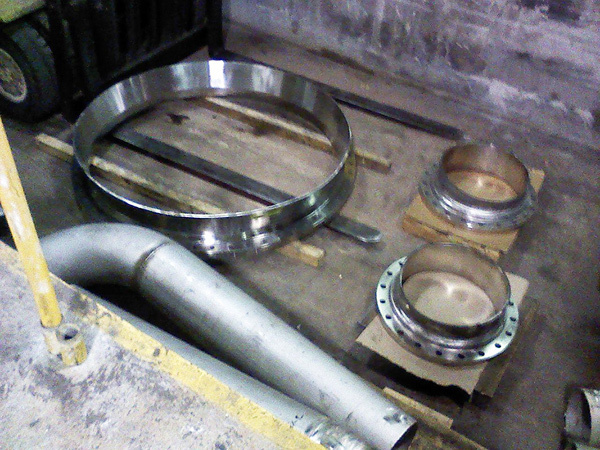 The components shown here are part of a head assembly that is used in industrial fans and heat exchangers. 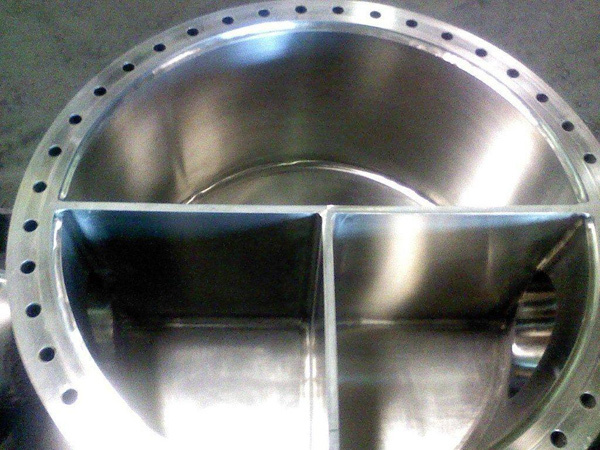 The assembly is machined from Hastelloy and has an outer diameter of 42”. The customer specified a #4 surface finish with a 32 RA maximum, but we were able to use abrasive polishing to achieve a surface finish of 16 RA. By polishing the surface, the Hastelloy material is less resistant to pitting and is able to achieve a tight fit with mating parts. After polishing, the surface finish was measured using a profilometer to verify conformance to customer specifications. This project was completed for a repeat customer who chose us due to the quality of our work on a previous project. Due to the geometry of the components, these parts were significantly more challenging to polish than a standard flat sheet of material, but over the years, we have become very adept at accommodating parts with unique geometries. Upon completion of the project, the customer expressed their appreciation for our ability to provide a premium quality polished surface. The average turnaround for these head assemblies is one to two weeks. For additional details about this custom Hastelloy polishing project, see the table below, or contact us directly. Used with heavy duty industrial fans and heat exchangers. Outside Diameter: Ø 42 in.